What is the most awesome feeling you can have as an engineer? It must be seeing your design successfully being deployed and used in daily life. You and your colleagues have put a lot of effort in the development process so the product becomes the best version it can be. Now it’s in production, smart, stable and you have happy, paying customers. Job well done! But let’s turn a little bit back to the development process. There are no easy problems left to be solved anymore. Unfortunate? Maybe. A problem? Of course not! Engineers are driven to explore the unknown, discover new applications and push the boundaries of our technical limits. Nowadays you’ll need real inventivity, quality and speed to compete. You might have a variety of CAD and CAE tools at your disposal, but are they modern and do they really help you innovate and speed up the development process? 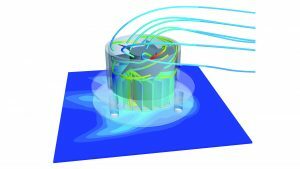 Are you looking for a solution that really supports modern simulation and modeling techniques? We believe you should definitely look into the possibilities of Siemens multidisciplinary simulation platform STAR-CCM+. This solution is unrivalled in its ability to tackle problems involving multi-physics and complex geometries. Therefore it addresses the challenges of the modern engineer really well. Let’s take a closer look at those challenges! As an engineer it is important that you are able to predict the effect any design adjustments has on the final performance of your products. To be effective in this, these predictions must be accurate. 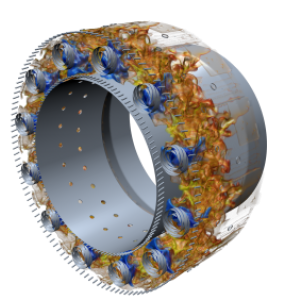 CAE solutions like STAR-CCM+ offer comprehensive predictions that are usually more accurate and less time-consuming compared to hand calculations and physical testing. When used in an effective manner, it can improve a design drastically through multiple iterations, resulting in products of higher quality that are more robust and better fulfil customer’s expectations. Because of the cost reducing factors, the software adds value and ultimately starts to pay for itself. You might think every simulation tool approximately does the same thing, but this is not the case. Functionality, usability and price are just but a few differentiating factors. 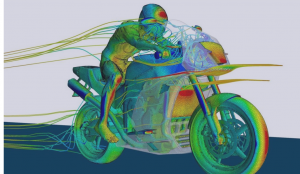 For a constant stream of relevant data, which is needed in product development, we think simulation software should be multidisciplinary, timely, affordable and backed by experts. Take for example the aerodynamics, heat transfer and solid mechanics that we take into account while designing an aerostructure. In the real world these disciplines interact, so why study them separate with simulation? What could you gain from study them in unison? Multidisciplinary is an important aspect of modern simulation practice since it combines the physics relevant to a specific product, and drive it virtually through a range of configurations and scenarios. This way the amount of approximations and assumptions is minimized so that engineers can be confident the simulation results will match real-world performances of the product. Your data can be groundbreaking for the development of your product, but if you can’t bring your product to market fast, others will. That’s why automation should be at the heart of modern simulation solutions. With STAR-CCM+ you can easily automate your simulation process to deliver a constant stream of relevant data. This way, time and effort invested in making a multidisciplinary simulation model can be easily redeployed in a wide range of design configurations and scenarios. Ultimately you want your simulation solution to pay for itself. Therefore you need confidence your solution will offer you a high return on investment. STAR-CCM+ will provide you its added value in terms of reduced development costs. 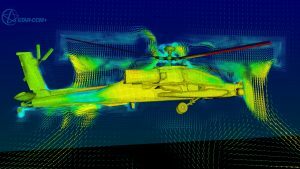 Engineers will be able to innovate more, since they get to spend more time on actually analyzing the simulation data and less time on preparing and setting up the simulations models. It’s usually the implementation itself that is the tricky part. But, STAR-CCM+ innovative licensing schemes are flexible and address different needs. Read more about the licensing options here! All aspects of STAR-CCM+, from its integrated interface, extensive capabilities to flexible license options have stellar reputations across industries for customer responsiveness. STAR-CCM+ users form an elite community and are backed by dedicated support engineers, like those of Femto Engineering. We never leave any support question unanswered and always go the extra mile to help you create the best possible product. Hope you liked this article! For any questions or comments feel free to contact us! Also consider following us on LinkedIn, Twitter or Facebook so you won’t miss our next STAR-CCM+ post!